Visual learner? 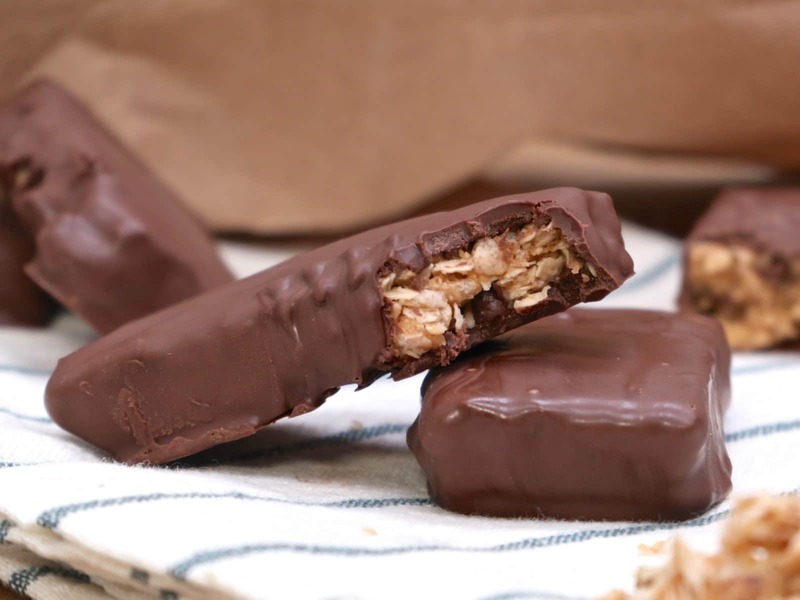 Watch me make these dipped granola bars from start to finish! School is back in session! It’s so adorable going through my facebook timeline and seeing all the kids dressed for their first day. Meanwhile, the parents are drinking & rejoicing LOL! We started homeschool a couple of weeks ago, and so far it’s been incredible. This year we are ditching the standard curriculum and going 95% hands-on and interactive. I started testing out this learning concept last year with great success. Instead of just learning about a topic through reading, watching and writing, I fully immerse the boys in it. They become the topic and fully interact with it. This week in History we’re studying the nomads. The boys had to go out in the yard to find “breakfast.” (And yep I actually cooked it! We didn’t eat it though!) They built a tent, wondered through several campsites and collected play food in the “fertile crescent.” Two plastic blue table clothes in the yard represented the Tigris and Euphrates river where they eventually settled and became farmers. At the end of the week, my once nomads turned farmers will create a shaduf (ancient irrigation system) to water their crops. Interactive learning for the win! My boys are loving it! Can you tell I’m kinda excited?? If you’ve ever taught a right-brained child then you know how challenging it can be. I’m on cloud 9 that my oldest is FINALLY admiting to loving homeschool. We usually always tie cooking into a lesson, which means I’m always on the search for kid-friendly recipes where I can throw in some education. 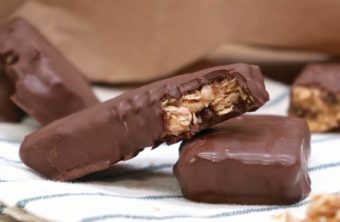 One of their favorite recipes are these chocolate dipped granola bars! 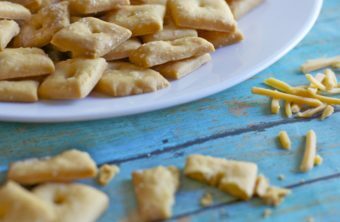 They are so easy to make with kids, and they have a blast decorating and eating them. These dipped granola bars are the perfect recipe to sneak things your kids might turn their nose up at like chia and hemp seeds. Let me tell ya though, these dipped granola bars are plenty sweet! Usually, just a bite will get you your soft & chewy granola fix. I prefer them fun-sized for this reason. Since the granola mixture is relatively chewy and soft, the chocolate coating adds a nice stable shell to them. 1. Color Mixing: Use colorful candy melts to create new colors to dip the bars in. 2. Fractions: Press granola into a lined round cake pan and have your child divide it into fractions. 3. Shapes: Use shaped cookie cutters to cut out different granola shapes. 4. Food Guide Pyramid: Great project when studying the grains food group. Throw in some extra grains (hemp, chia, etc). I hope you guys enjoy these granola bars as much as we do! And if you decided to make them with your kiddos be sure to tag me on Instagram! Line a 8 x 8 pan with parchment paper. Set aside. In a large bowl add butter, brown sugar, peanut butter, honey and vanilla extract. Set aside. 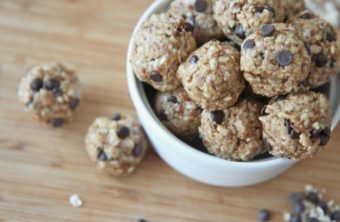 In another large bowl, stir together rice cereal, oats, coconut and mini chocolate chips. Combine the dry ingredients into the wet ingredients until well coated. Melt chocolate almond bark in a bowl according to package. Carefully submerge granola bar into the melted chocolate and gently lift, allowing excess chocolate to drip off. Place on a sheet of parchement paper and repeat until all granola bars have been dipped.